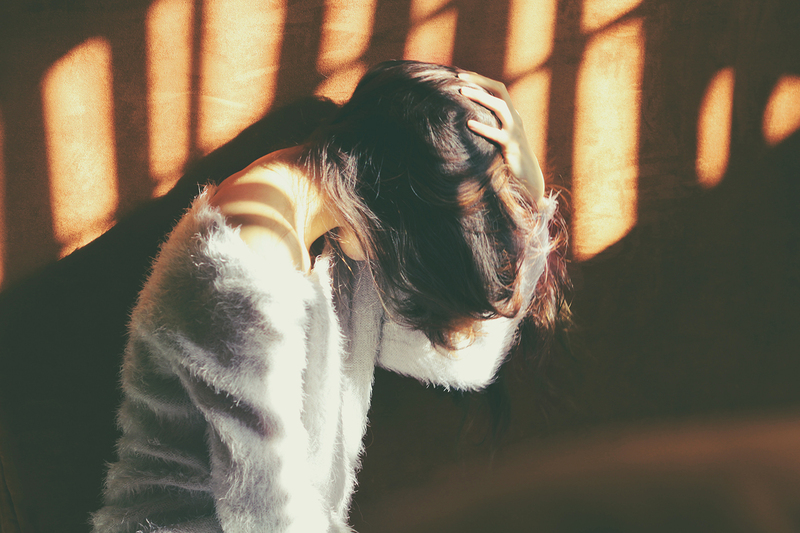 Seasickness is definitely an unpleasant experience and something we all want to avoid, so let me tell you a little bit more about it. Seasickness is mainly caused by 2 factors; one is the stability of the vessel that determines how much the vessel moves around on the water. The other factor is your own whereabouts onboard the vessel and whether you are able to look out to sea. Even a hardened seaman may feel seasick in rough seas if they remain in a confined space inside the vessel for a long time. So if you are susceptible to sea sickness and the vessel is moving around, it’s best to avoid going inside and instead, stay on the upper deck looking out to sea. The Royal Albatross is an ideal vessel for lookout. The upper deck is open-air; you can walk around the entire ship enjoying unobstructed 360 degrees views. Further, our Grand Salon on the main deck is light and airy with large windows offering 270-degree views out to sea. To avoid sea sickness or if you feel it coming on, you just need to look out to sea every couple of minutes. The best way is to fix your eyes on something stationary such as another ship or an object on the land and Avoid going into confined spaces. Being outside in the fresh air with an ability to look out to sea all the time is the best option when avoiding seasickness. The other main factor is the vessel’s stability. If the vessel is moving around a lot it will definitely increase the risk of seasickness, whereas if you are in a very stable vessel that doesn’t move much, it’s like being on land. 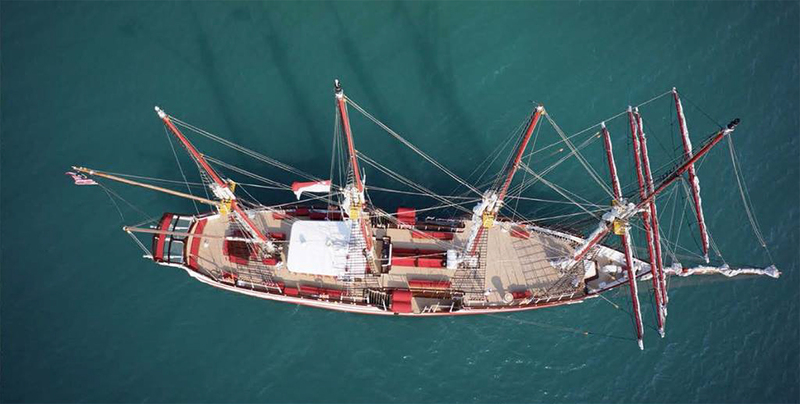 There are 4 factors that affect vessels stability. Imagine a light buoyant object such as a cork or an empty plastic bottle, floating on the water’s surface. It will follow every contour of the waves so it will bob around excessively. Most yachts are designed to be as light and as fast as possible which is why they are typically made from fibreglass. They float very near to the water’s surface and just like a cork, they will bob around excessively and they ride over the waves. A tall ship, on the other hand, is the opposite. They are very heavy, slow and their large keels extend deep below the water to counter the wind pressure on the sails and rigging, thereby keeping the ship upright. The Royal Albatross weighs in at nearly 300 tons and her 60-ton keel extends 4 meters below the water surface. 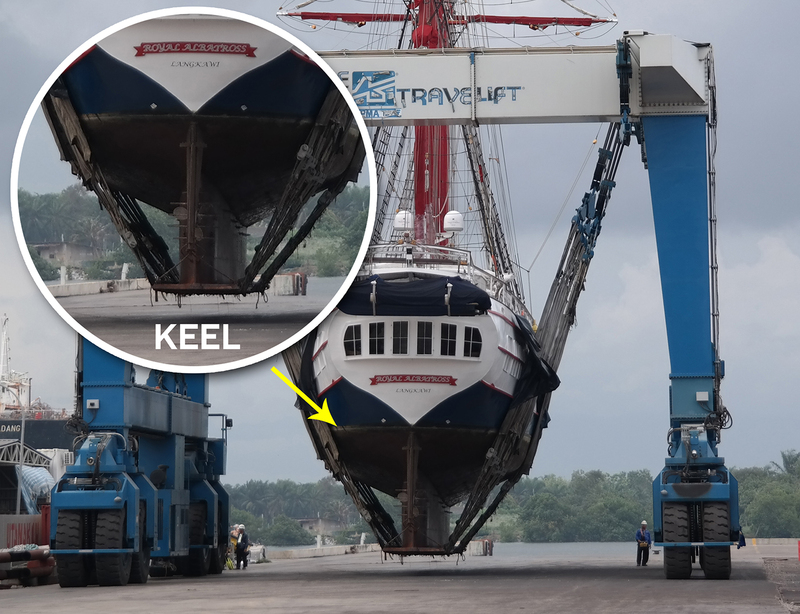 At the bottom of the keel is a massive 2m wide steel plate extending the entire length of the ship that keeps her upright and also cushions any movements. Seasickness is also associated with a rolling vessel, in other words, when a vessel is moving from side to side which typically happens when the vessel is at anchor. 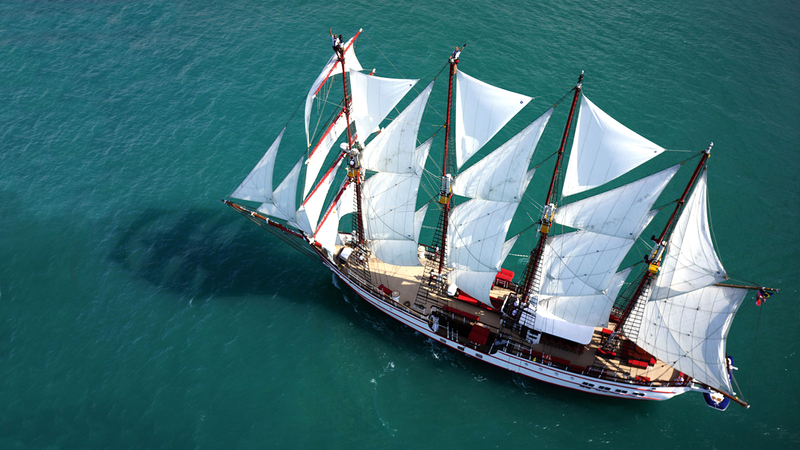 A light vessel with no keel and no sails are free to roll from side to side, whereas a sailing ship will be held over on one side by the wind pressure on the sails. This effect is called heeling and is applicable to mono hull vessels (but not catamarans) and it helps eliminate the roll that causes seasickness. 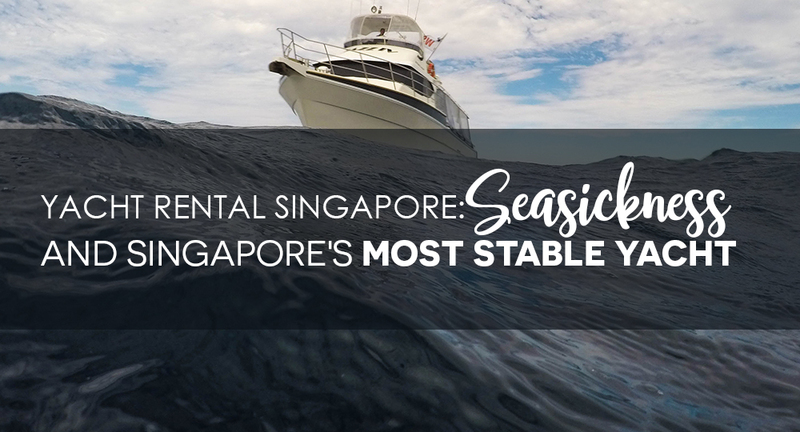 The seas around Singapore are normally calm with less than 1m waves however that doesn’t mean you can’t get seasick. Pay attention to lookout and select your vessel carefully for your corporate event if you or your guests are susceptible to seasickness. As an example of how little the Royal Albatross moves around, we are able to serve dinner with wine on the table while underway. In fact, unlike most fibreglass yachts that need to anchor in flat waters to serve dinner, the Royal Albatross doesn’t need to stop making it a continuous cruising experience. 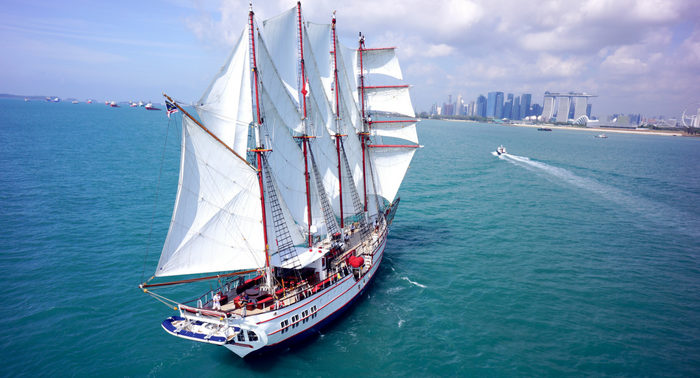 This is due to Royal Albatross excellent stability and the way it was designed to counter the effects of seasickness.